Consistently Superior Mix to comply with ASTM F-718 NAVSEA standards. Developed to mix MIL-SPEC nonskid deck coatings, Pentech’s ICM2000 has the power to completely mix thick coatings containing abrasive materials. Pneumatic clamps securely hold the container while a spring loaded splash ring minimizes spills from high speed mixing. Unique patent pending blade design. Mixes entire container including chine area to provide 100% usability of contents. 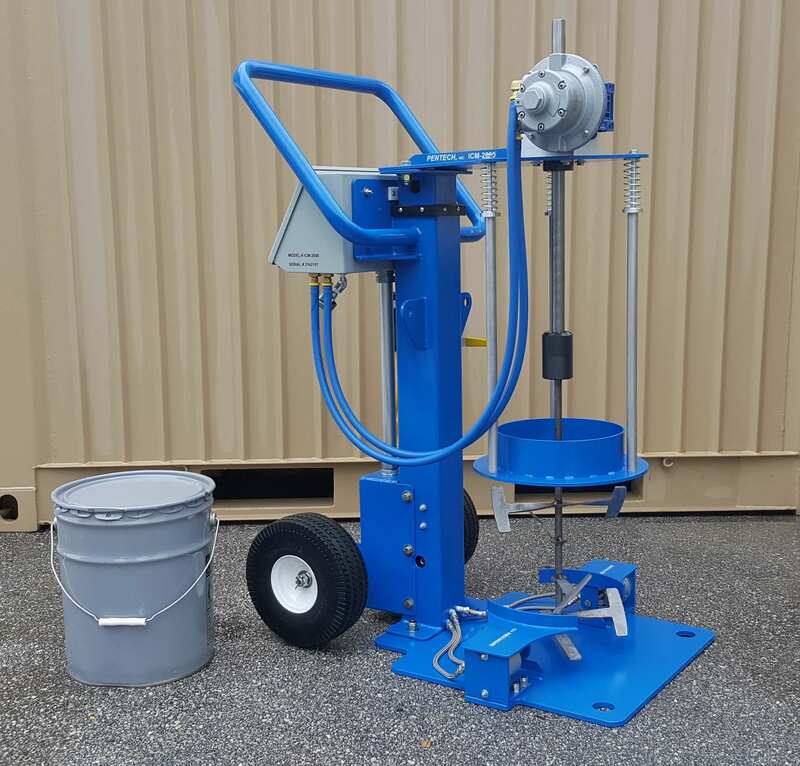 COMPLETE MIX eliminates unusable materials. Reduce operator error, ensure consistency and complete mix by using a programmable timed mixing cycle. Designed for the most demanding applications. Variable speed control, 0 – 175 RPM. 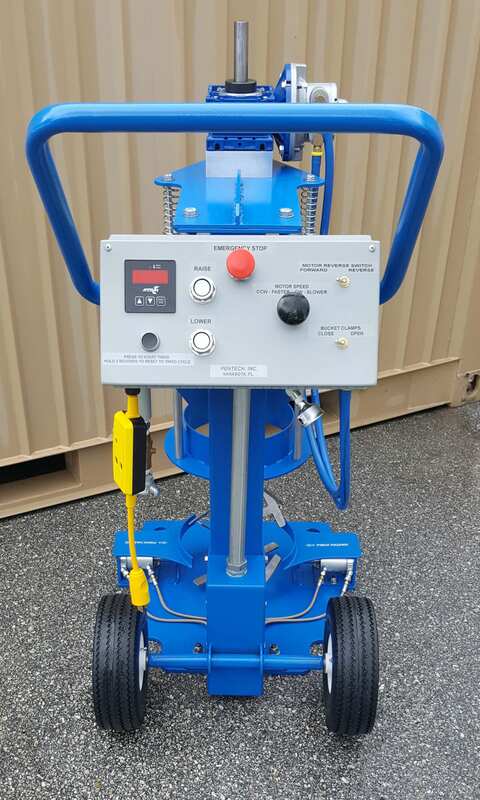 Pneumatic clamping securely holds the container keeping the operator’s hands away from the mixing blade to increase safety and reduce operator fatigue.